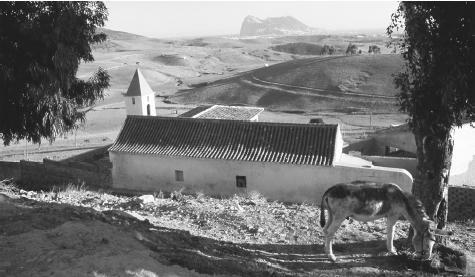 A donkey grazes outside a farmhouse in Gibraltar. Most of the colony's four square miles of land consists of rock. 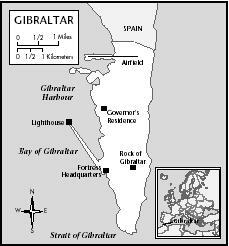 The status of being Gibraltarian is transferred through the male line. the Hotel Association, the Chamber of Commerce, TGWU/Acts, the Shipping Association, and the Bar Council. Apart from the nationalist movement Self-Determination For Gibraltar Group (SDGG), nongovernmental organizations are politically unimportant. 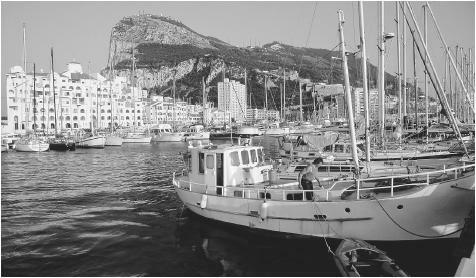 Fishing boats fill the harbor below the Rock of Gibraltar. Benady, Mesod ("Tito"). "The Jewish Community of Gibraltar" In R. D. Barnett and W. M. Schwab, eds., The Western Sephardim: The Sephardi Heritage , vol. II, 1989. Caruana, Charles. The Rock Under a Cloud , 1989. Finlayson, Thomas J. 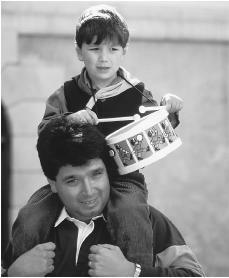 The Fortress Came First , 1991. Haller, Dieter. "Romancing Patios: Die Aneignung der Stadt im Rahmen der ethnischen und nationalen Neubestimmung in Gibraltar" In Kokot, Hengartner, and Wildner, eds., Kulturwissenschaftliche Sichtweisen auf die Stadt , 1999. Jackson, Sir William G. F. The Rock of the Gibraltarians—A History of Gibraltar , 1987. Moyer, Melissa Greer. Analysis of Code Switching in Gibraltar , 1993. Very rarely is such detail provided with such simplicity. This page had great information and was laid out great. Thanks! Do you know of any university department or academic specialising in the Llanito language of Gibraltar, please? If so, I would be grateful to receive full details and look forward to hearing from you. I am a very proud Italian descendant and have researched my ancestry to Italy and found the following confirmantion of the fact.From a certificat or an entry in the Cathedral Marriage Register as follows. Giovanni Battista Bossino, Batezzato nella Parrocchia San Giovani Battista, Savona, Genova. I have visited The Parrochia and spoken to the priest but unfortunetely with the lack of exact dates and information he said that it would to be possible to go back to those days, I am sure he did not have the will to do the research even though i offerd to pay. His name was Father Parodi which is the name of my grandmother. I have to following names in my family. Bossino, Galliano, Parody (Parodi). I too have struggle to find the exact place where my italian ancestors arrived from. The first being josephus Berini . On his death certificate his place of birth states Genoa. I was given Voltri by the archivist in The Cathedral. I have learnt italian and went to Voltri. The priest spoke fluent spanish, and introduced me to his archivist. The gentleman really helped me but what i f ound is that Berini is not a Ligurian name, it is from Schignano in Como. However, Josephs father Lorenzo married Maria Gaggero, and that is a Ligurian name. I will be continuing with my search. In the cemetery in Voltri there were graves with all the common names found inGibraltar, Parodi, Bossano, Galliano, etc. I would like the name Berini added to the list of italian names. My grandmother was Maria Galliano was a native of Gibraltar, she married a Bacarisas and then Jose Massa. I had an aunt Isabel Bacarisas and my mother Marina Massa. My aunt was a spinster all her life and my mother married my father Tommy Taylor RAMC who had been posted to the Europa Point hospital. Gibraltar in 1937.